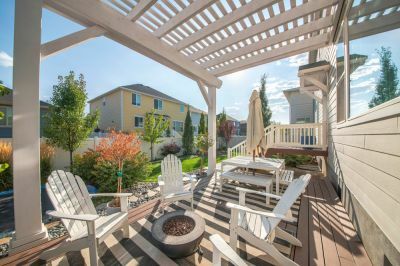 Owning a deck, patio, or porch can transform your home and immediately upgrade its property value. There's nothing better than kicking back on a nice day and spending time with family and friends outside. Having an outdoor deck allows that for you. Here at JPW Deck and Patios we can build the deck of your dreams, or even just renovate that old deck to make it look new again. If you need deck, patio, porch, or structures installed, replaced, cleaned ,or repaired, we're the place for you. We have the skills, tools, equipment, and experience to create and build whatever you have in mind. Simply fill out the contact form below, tell us about your project, and we'll get back to you right away with a free price quote.